Mile 0.0, Southern end of section at the highway crossing. 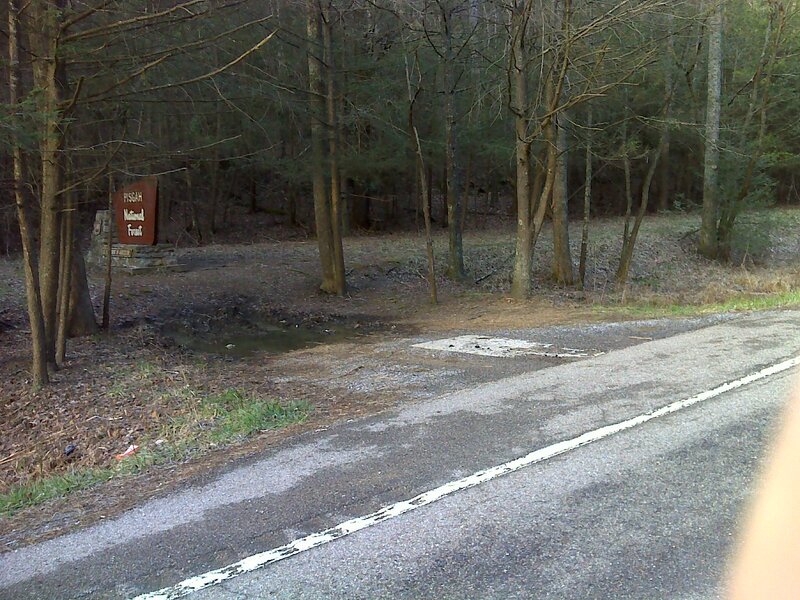 There is a tiny public parking area, two cars can squeeze in if they're on speaking terms, right beside the 'Pisgah National Forest' sign and just 100 feet from the trail. There is a large gravel pull-out or parking area 0.1 mile east at a defunct business, "State Line Gas and Cafe, bar open daily", which may be private property, though the parking area straddles the state line, and the Tennessee side, along side a gated road (don't block) may be public property and available for additional parking. 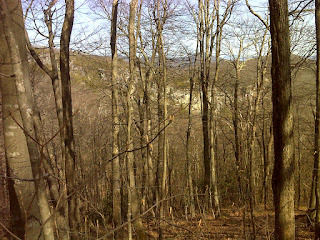 Enter woods and climb via switchbacks then descend more gradually. Be sure to appreciate the morning scents of early spring in the humid, cool, hemlock-rhododendron woodland. Mile 1.2 Trail makes close encounter with Viking Mountain Lane, a well used and maintained gravel road that is a tributary to Viking Mountain Road. This appears to be a public road. Pass side trail 50 feet in length to road, ornamented with a nasty sign forbidding tampering with survey markers. Ohhhh ... kay ... moving right along. Ascend, gradually turning right, then descend more steeply. Mile 1.6, cross the driveway to some lucky sucker's cabin in the woods. Then begin the semi-serious ascent through mixed, mostly hardwood forest, following the state line, of which you will be reminded frequently with little NC Wildlife signs, yellow forest boundary signs, and a variety of gaudily red-painted trees and survey markers including some set in concrete. You will pass one of the oldest known (to me) trail maintainer AT logo imprints, made in the end of an old log by chain saw. Mile 4.9. Reach Little Laurel Shelter in a beautiful grassy, almost park-like flat. It is a stone shelter identified in its log book as the 'Friendliest Shelter on the Trail'. Meet 'Gadget Man' there, about ready to leave, and get into one of those conversations that you keep intending to end but just can't. 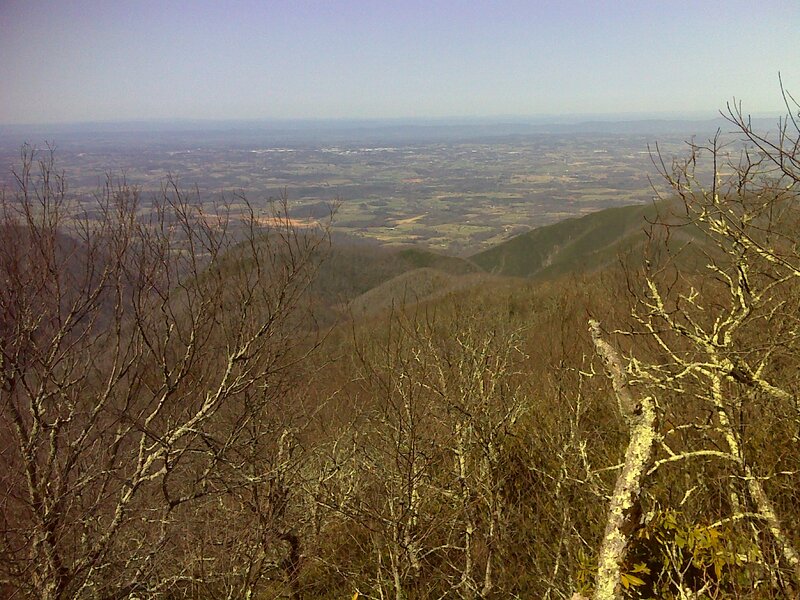 Begin serious 1000 foot ascent along state line without switchbacks, directly up the undulating ridge. Mile 6.2. Reach junction with blue-blazed but unsigned trail that leads down to the right into an enigmatic maze of trails that lead nowhere, where you will get lost unless you have a local guide. To the left this trail ascends 0.15 miles to a public parking area among communication towers and trash. 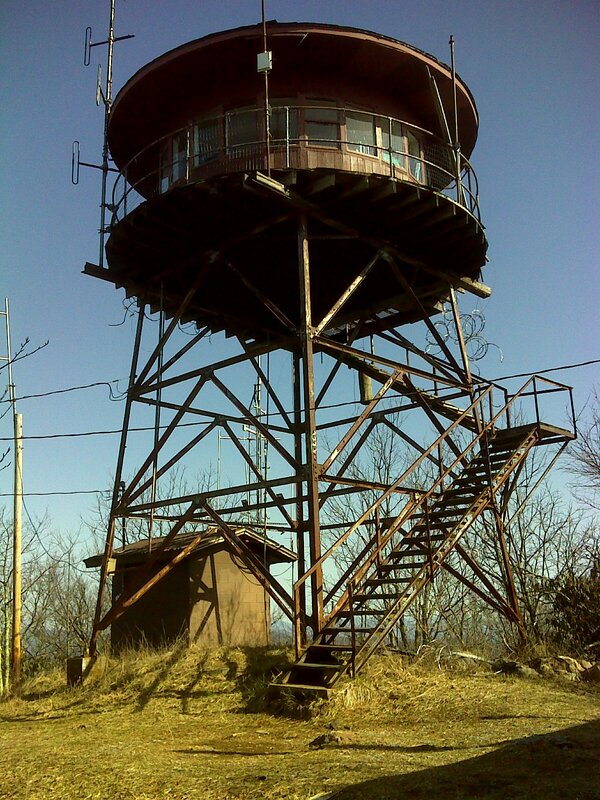 Pass to the right of a fenced communication building, arriving at the base of the closed and neglected fire tower, complete with hastily installed coils of razor wire. You can still climb the steps part-way up the tower and get a nice view to the south. 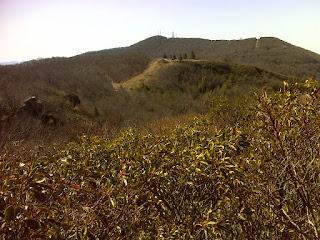 Descend side-hill with a glimpse of the fire tower and other towers, struggle over a short rocky section, and gradually bend left around the mountain. Mile 7.0 Catch a glimpse of Jones Meadow and expect you will be passing through it, only to learn later that it is the dominion of drivers of automobiles and therefore strictly shunned by the AT. Continue to descend past blue blazed trail that leads back to Camp Creek Bald, then pass a camping area with piped spring, ascend and cross a ridge then turn left, passing side hill with great winter views of the extensive, steep, and surprisingly high White Rock Cliffs, that would remind you of the best of the Blue Mountains west of Sydney, Australia, if there was only a side trail to some better vista. Curve right toward the left terminus of these cliffs, morose and lamenting the fact that you can't explore every interesting thing you see. 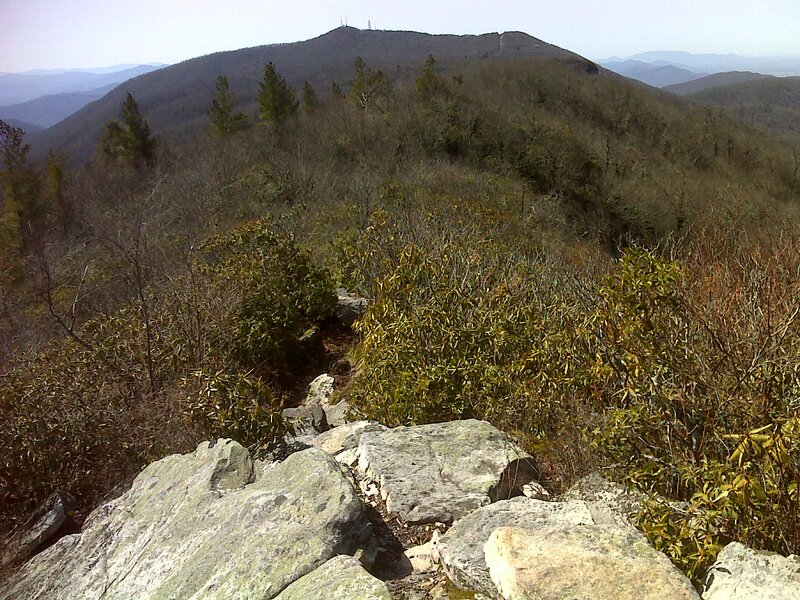 Begin to ascend increasingly rocky trail, noting that none of the above is mentioned in the official guide book. Mile 8.0 reach short side trail to White Rock Cliffs, meaning the top of one of the lesser of these beautiful rock formations. From the viewpoint the wider country is visible, but none of the actual cliffs. 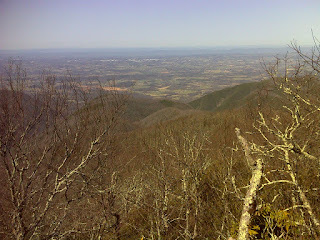 Still, on a bright clear day like today (Thursday March 1st), the views of surrounding mountain ranges are spectacular. Mile 8.1 pass not one but two blue blazed side trails that lead to NOTHING but the stupid road, reminding you that you could have driven there if you had a car. Mile 8.2 pass junction with *narrow*, occasionally boggy, poorly maintained and almost grown-shut side trail to Blackstack Cliffs. No. Do not pass this, take this side trail. 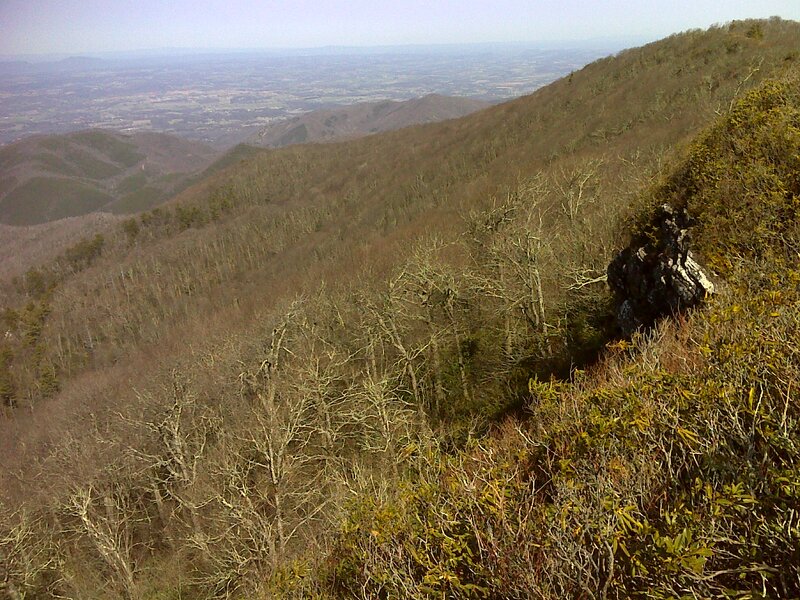 It's worth it for the several vistas east and south (shown here) of Jones Meadow and the towers on Camp Creek Bald. Mile 8.4. Reach the decision point - take the blue blazed bad weather bypass or follow the At over the exposed ridge. If at all possible, take the exposed ridge, but understand that it's not a short bit of exposed ridge - it's more than half a mile. In changeable weather that could leave you ... well ... exposed. 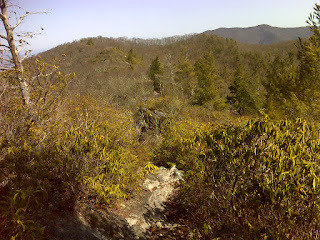 Trail has already become seriously rocky here, but you ain't seen nothin' yet. There's a funny little chicane through big rocks, moss and rhododendron with no views, then a short bit of more gentle trail in open birch forest, then you ascend through stunted scrub rhododendrons and mountain laurel to the real spine. Mile 8.6. The 'payoff' comes as you reach the first and best of the half-dozen vistas stretching over the next half mile. 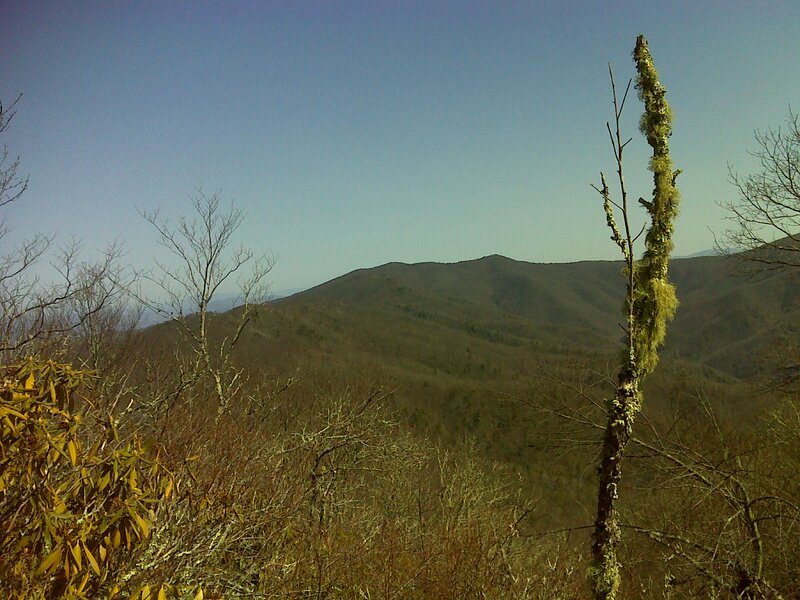 It's called Firescald Knob, but there is old but stunted vegetation on all sides and no sign of recent fire. 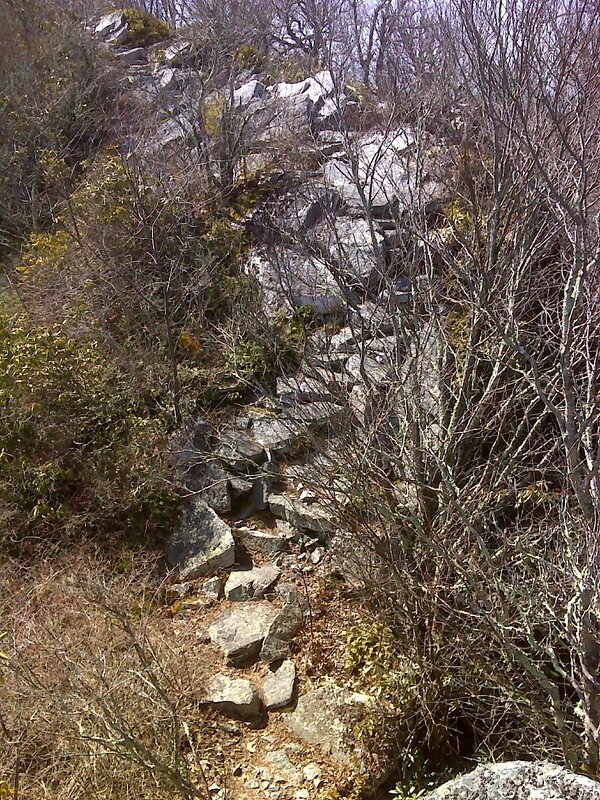 Descend and then begin the rock-scramble adventure. This is some seriously tough trail in places, especially if you're not slack-packing. Plan for the extra time it will take. Somewhere in here, closer to the north end of the exposed ridge traverse, is a sign indicating a bail-out point down to the Bad Weather Trail. 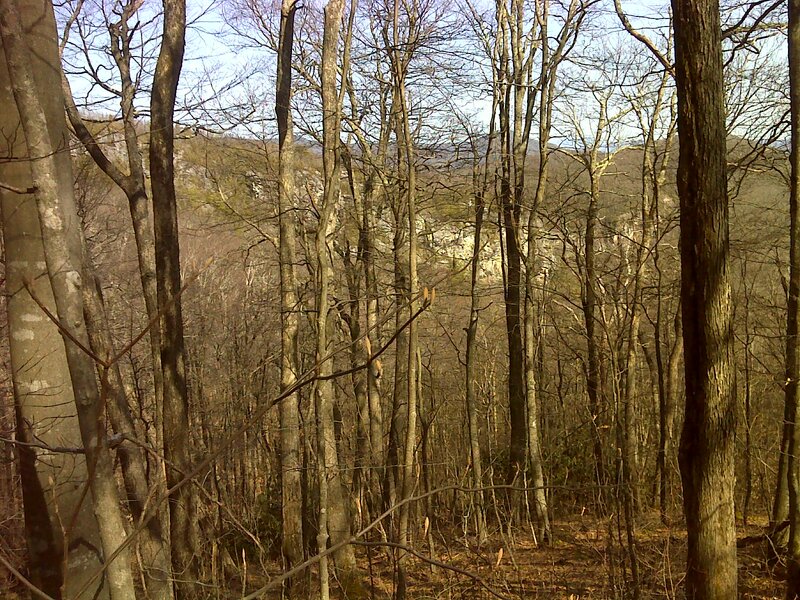 There's no actual trail here, just a bushwhack down to safety. 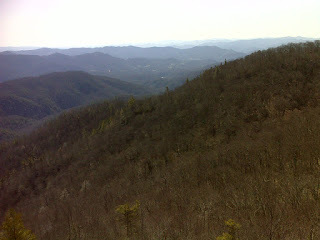 Mile 9.2 Last vista, then an eighth of a mile of rocky stuff, then you're done with Firescald Knob. Mile 10.0, Reach the northern junction with the Bad Weather Trail and the end of this half-section. Turn around and negotiate all the rocks again. Meet Gadget Man among the rocks and chat a bit. But you both have places to go, so it's a briefer meeting this time. Head back home over familiar ground, catching new sights that you missed on the way out, and absorbing and consolidating the day's experience. I had fun writing this guide, but it took a lot of time - time I really don't have. It means not enough sleep before tomorrow's hike. There just aren't enough hours in the day! G-night!